Kåre João - "Kåre João 2"
Based in Norway, Kåre João belt out some truly excellent pop inflected rock. Unhampered by an overly glossy production, which allows the sounds to breathe and come alive, this is modern music with a warm retro feel. Some AI readers might find this a little too on the commercial side for their tastes, but Kåre João are not a straightforward rock band, and certainly shouldn't be dismissed as such. Take for example, the track The Rats, which slides quickly into a complex groove of percussion, bass, guitar and keys and gets deliciously freaky as whooshes of buzzing synths cut through it towards the end. Drawing on a wide rage of influences like The Stooges, Can, and even Kraftwerk, they blend it all into a tight package buoyed by solid song writing, infectious grooves, and catchy riffs. The relentlessly upbeat, energetic and very hip sounding TV Dreamy is as catchy as anything you'll hear. But then the band does something like Nocturnal Offline Transactions, with punchy, experimental polyrhythms, sawing drones, and freaky processed vocals. The band also delves into pure psychedelia on songs like the elegiac Sunset Sticker and especially the warped Kaleidoscope Street. Somehow they make it all work together with a style that is all their own. So don't let my use of words like "pop" and "commercial" scare you away. This is commercial pop music for people who don't like commercial pop music, because underneath Kåre João's hip, catchy veneer there beats a freaky heart. Recommended. 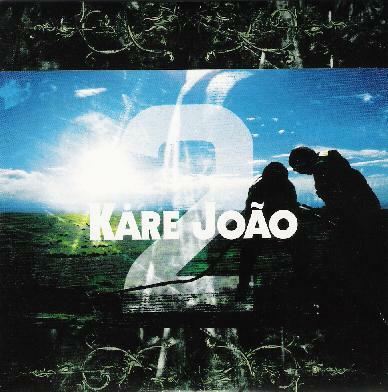 For more information you can visit the Kåre João web site at: http://www.kaarejoao.com.